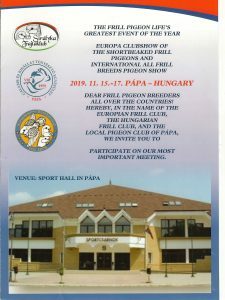 Promotion for the breed and distribution of all frill races, who belong to the European Frill Club and who are bred by their members. 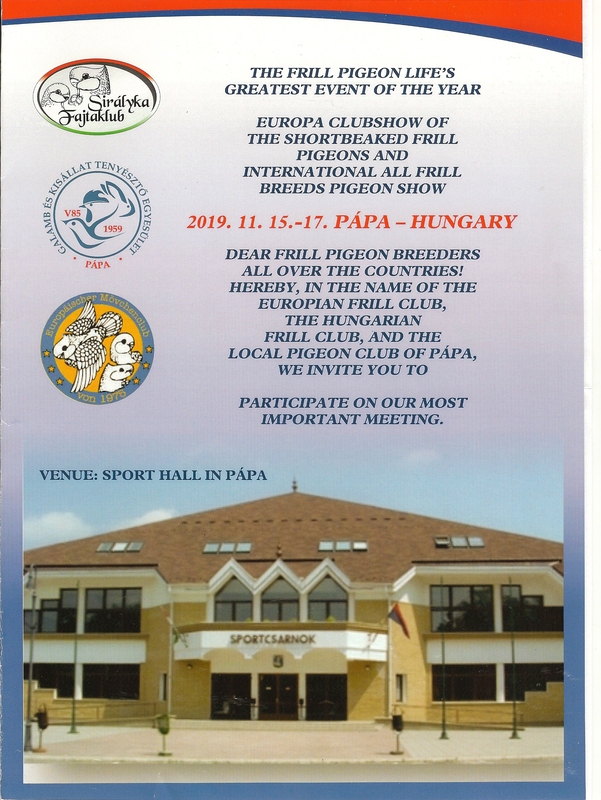 Maintain contacts between the members and between the different European national Frill clubs. Uniformity of the standards of the races, belonging to the European Frill Club. Organize international meetings and shows.